Visit Maine! The Way Life Should Be! Rate us and write a review on Trip Adviser! Welcome to Evergreen Valley, bordering 2,200 acres of White Mountain National Forest in the heart of Maine’s wilderness. Your stay in this rustic country inn will provide you and your family an opportunity to enjoy an abundance of wildlife, as well as a variety of activities and attractions nearby. We are a family resort that offers you warm ambiance and wonderful staff to accommodate or assist you with all your needs. Evergreen Valley is located close to the famous Fryeburg Fair and North Conway, New Hampshire where you can enjoy great Outlet Shopping and many restaurants. 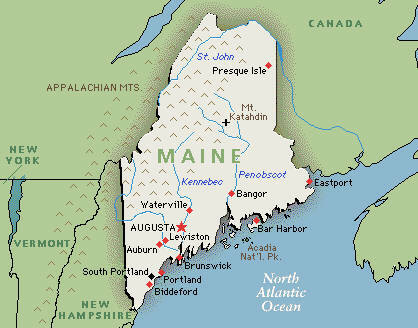 We are 1.5 hours from Portland, Maine, where you can enjoy many New England Attractions as well as a shopping mall. Close to the Inn, there are many attractions which offer fun for the whole family regardless of age. We are also close to Kezar Lake which has been in National Geographic many times as one of the most beautiful lakes in North America. You can also enjoy canoeing down the Saco River from early summer to late fall. There are numerous activities during all 4-seasons at Evergreen including hiking trails, mountain biking, golfing, snowmobiling, cross country or downhill skiing or snowboarding, all close by. Find us on Facebook as Evergreen Valley.